Brexit and the German constitutional case have put a spanner in the works of the UPC but law firms in Paris are still gearing up for international patent cases. The recent merger of top outfit Véron with Hoyng ROKH Monegier shows how the world is changing for France’s traditional IP boutiques. A change in the law allowing mixed firms is set to bring further upheaval. Véron & Associés is a prestigous name in Paris. For a long time, the firm and its patriarch Pierre Véron were considered the go-to authority in France for patent proceedings. But soon, Véron will become merely a constituent part of Hoyng ROKH Monegier after the firms merge in June. The market has been speculating about this move for years. Especially as the ties between the doyens of French patent law, Pierre Véron and Denis Monégier du Sorbier, go back decades. Now their futures are entwined. The new outfit will be a powerhouse in France, and in Europe as a whole the firm is an increasing threat to the large practices of Allen & Overy, Bird & Bird and Hogan Lovells. With Paris set to become the seat of the UPC’s central division, the merger is a sensational coup at both a national and European level. For Véron, the period leading up to the merger was a turbulent one. Pierre Véron had largely retired from the partnership. The younger partners had begun to consider the boutique’s future – in particular, its national setup with regard to the UPC. Then in late 2016 came a blow. Véron’s protégé, the renowned Thomas Bouvet, and his team jumped ship to Jones Day, whose patents practice was bolstered with two partners, a counsel and seven associates, making it one of the largest teams in the market. The existing Jones Day team around Emmanuel Baud advises more broadly on IP and is less focused on patents than Bouvet’s team. The UPC was a decisive reason for the move. In the new system, many believe internationally integrated firms will have an advantage over national boutiques. Sabine Agé will join Hoyng ROKH Monegier together with the Véron team in June. Following Bouvet’s departure, some outsiders considered the boutique Véron to be too small and too nationally focused to maintain its usual high standard in the truly international patent cases. The remaining team consists of three partners, Sabine Agé, Amandine Métier and Florence Jacquand, two counsel and four associates. Véron has long-established ties to numerous boutiques in other jurisdictions. Thanks to the merger, Hoyng ROKH Monegier has now gained better access to patents work in Paris, while Véron is now part of an international team. The Dutch-French-Belgian firm Hoyng Monegier took this step once before in late 2015 when it merged with the German IP firm Reimann Osterrieth Köhler Haft. With over 100 lawyers and offices in Belgium, Germany, France, the Netherlands and Spain, the new outfit became the dominant independent firm in Europe for IP advice. And with its offices in Amsterdam, Düsseldorf, Mannheim, Munich and Paris, the firm boasts a presence in five key UPC locations. 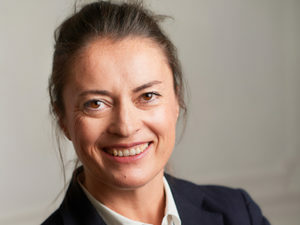 In Paris, however, some viewed Hoyng ROKH Monegier’s team – comprising partners Denis Monégier du Sorbier, Benoît Strowel and Sophie Micallef – as too thin compared with its teams in Germany and the Netherlands. The merger with Véron was thus a strategic step to raise clout for all concerned. The only thing missing from the firm’s constellation is an office in London. Despite Brexit and the German constitutional complaint having paralysed the UPC, French patent litigators are busy preparing for its arrival. Not only at boutiques, but also at larger firms where lateral moves are more common: One prominent move was that of Marianne Schaffner, who has made a name for herself in pharmaceuticals proceedings. The patent litigation specialist left Dechert in March 2018 to join Dentons’ relatively large French IP team. The eleven lawyers specialise mainly in soft IP and adjacent fields such as data protection, but they are also active in large patent cases, such as Apple’s suit against Samsung. Schaffner was Dechert’s only renowned patent litigation specialist in Europe – a less than ideal strategy. “My main reason for moving is that we need patent litigation partners around our clients in all of the key European states and the US, not only with regard to the UPC but for all patent proceedings,” says Schaffner. At her new firm, patent litigators work more intensively with the patent attorneys who are concentrated in London. Over 70 technical experts are based in the city. Furthermore, Dentons boasts a patent team in the US. Bolstering the team in Germany will be the next key step. Schaffner’s departure weakened Dechert but the firm is not without patent experts. Partner Marie Fillon remains with a small team. The French IP landscape has been dominated by nationally independent boutiques for decades. One example is Armengaud Guerlain, founded in 1993. The four-strong team advises a heterogeneous client base and all lawyers are equally at home in trademarks and patent law, as well as other areas of IP. But British and US firms have been laying the groundwork for years. Now patent litigation teams from large firms such as Allen & Overy and Bird & Bird are challenging those at the top of the French market. The more traditional outfits admit the international firms are strong competition when it comes to major cross-border cases, for which the traditional firm have to rely on networks of national boutiques. “Large firms have an advantage at international corporations, as clients are trusting them more and more,” said one patent litigator at a boutique. But the same lawyers also know the value of independence and entrepreneurship of smaller, more agile IP firms. They look upon the culture and conflicts at international full-service firms with scepticism. However, all want to play a role in the UPC. “We might need to explain to our clients – more so than lawyers at large firms do – that we are just as capable of handling international cases and that we have the best experts at our disposal among our partner firms,” says a partner. In addition to close cooperation with firms of a similar setup in countries such as the UK and Germany, law firms now have more freedom. A change in the law at the turn of the year means that lawyers and patent attorneys can now form partnerships, with both professions able to assume full partner status. One firm, Casalonga, preempted this development years ago. The 14-strong boutique was the first to promote cooperation between the two groups and is now setting up a single integrated firm. Considering the Casalonga family’s 150-year history in patents, this comes as no surprise. The two brothers – patent attorney Axel and lawyer Arnaud Casalonga – and their teams have always worked closely together. The team of lawyers around Caroline and Arnaud Casalonga has existed since 2005. “Cooperation between patent attorneys and lawyers is essential to success, not only before the UPC but for all patent cases. Other law firms will thus follow our example and merge,” says Arnaud Casalonga. The team around Arnaud Casalonga is the first partnership to integrate patent attorneys and lawyers. Elsewhere, mixed teams of patent attorneys and lawyers are a long-standing trend. The UK set the precedent years ago: Marks & Clerk was one of the first patent attorney firms to integrate lawyers into its own patent litigation outfit. Even today, the firm is a serious rival for established litigation boutiques in London, just like lawyers at Carpmaels & Ransford. In Germany, pure patent attorney firms have become the minority. The trailblazer in this case was Bardehle Pagenberg in the 70s. Other purely patent attorney firms now increasingly specialise in litigation. In the other direction, law firms consisting only of lawyers are boosting their technical expertise for disputes. Bird & Bird was the first law firm in Germany to take on patent attorneys to any significant degree and now has a large team in Hamburg and Munich that serves not only German clients, but also other UPC countries. Another example is Hogan Lovells, which has long boasted dual-qualified lawyers in its ranks and hired its first pure patent attorney in April. A noticeable trend among law firms is the tendency to establish technical expertise in particular countries, of which the litigation specialists in other countries can take advantage. Hoyng ROKH Monegier, for example, has concentrated its patent attorneys primarily in Amsterdam. However, the firm’s German lawyers continue to work with patent attorneys from other outfits. As a result of these changes, French boutiques are finding that referrals between law firms and patent law firms are declining, with less significance as they once had. The emergence of mixed firms in the French market could be particularly interesting for the nationally independent IP boutiques. After all, the UPC judges’ benches will be composed of both legal and technical experts, thus good cooperation between the two professions is becoming increasingly important. However, some firms consider a union with patent attorneys unnecessary, especially with so many bureaucratic hurdles. “There are still administrative obstacles, for example a mixed firm would require two insurance policies,” says Michel Abello from IP boutique Loyer et Abello, which already does both patent litigation and patent prosecution within the same law firm structure. Internationally, the firm has founded the non-exclusive network UPCLA, of which Maiwald is a member in Germany. This demonstrates that collaboration between lawyers and European patent attorneys has always been possible. Up until now, though, it has been used by relatively few. The best example of a successful partnership is the team around the dually qualified Gregoire Desrousseaux and patent attorney Francois Pochart, who both moved from their own boutiques to join the full-service firm August Debouzy in 2011. Their concept sets them apart from the large patent practices of international firms like Allen & Overy, who represent a highly international client base consisting primarily of pharmaceuticals corporations and technology companies. And yet Desrousseaux’s and Pochart’s litigation work is of a similarly high profile. French patent practices are ready for the UPC, with many seeing it as an opportunity to compete internationally. Patent proceedings in France tend to be comparatively slow; major cases such as those in the mobile communications sector often take place in Germany, the UK or the Netherlands. French firms are therefore hoping to land bigger cases at the UPC. Currently, the most commercially significant proceedings in France is pharmaceutical cases. But the majority of proceedings in the national court system have a mechanical background and are brought by SMEs, a client group that French firms believe will be reluctant to use the UPC. Just like German SMEs, French SMEs seek patent protection in only a handful of countries. That is one reason why French patent judges are looking forward to getting involved in the new court. 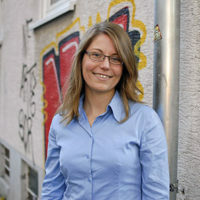 They are reputed to be less specialised than peers in Amsterdam, London, Düsseldorf and Munich, as they typically change practice areas after a few years when they take the next step in their career. The new court provides a new area of activity for them. So far, only one name is on the list of experienced French patent judges who make potential UPC candidates – Marie Courboulay. Courboulay has refrained from progressing further up the career ladder to remain at the Patent Senate of the High Court of Paris (Tribunal du Grand Instance de Paris, 3ème chambre), where she has gathered a wealth of experience. Courboulay is in favour of the UPC and is openly interested in becoming a judge. Like many of her European peers, she incorporates judgments from other countries in cross-border cases when making her own rulings. The High Court of Paris including the Patent Senate is moving from the Palais de Justice to a modern building on the Paris Boulevard Périphérique. 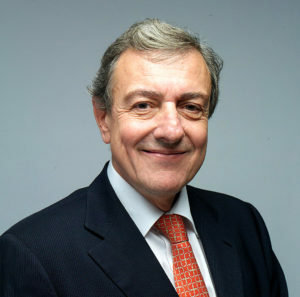 Many observers consider Courboulay a hot candidate for the presidency at the central division, especially as the rules suggest that the first president should be of French nationality. However, the president is ultimately selected by the judges; there might be a surprise in the offing. As with all other aspects of the UPC, the German constitutional complaint has put a halt to the selection of the judges. In France, however, all preparations at state level were completed long ago and the UPC legislation ratified. Only one mystery remains. Where exactly will the UPC central division be located? A decision is said to have been made and the rumour mill is churning. 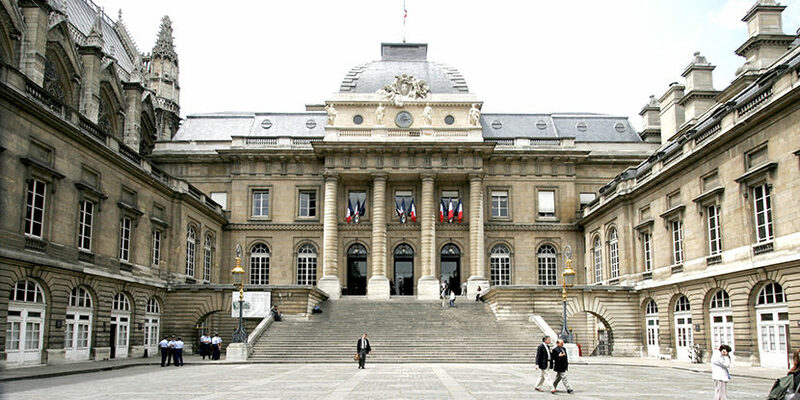 Around half of the historically venerable halls in the Palais de Justice, which is situated on the Île de la Cité, will become free in April when the High Court of Paris (including the Patent Senate) moves to a more modern building. 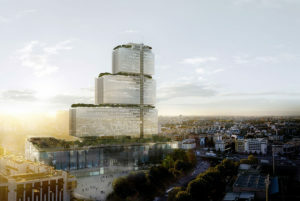 Others speculate that a modern administrative building north of the Île de la Cité would be the preferred choice due to practical reasons, such as room for interpreters’ booths. The French government will probably reveal the answer once there is a clear ruling on the constitutional complaint and the UPC process can begin again in earnest. See an overview and our analysis of the leading French patent firms here.